The location of a mobile user has become an important parameter for the businesses to increasing customer engagement, attracting new clients, managing operations and much more. The Global Positioning System (GPS) is a leading technology for outdoor navigation, but when it comes to tracking object/person indoor; GPS doesn’t work because of weak signal strength. 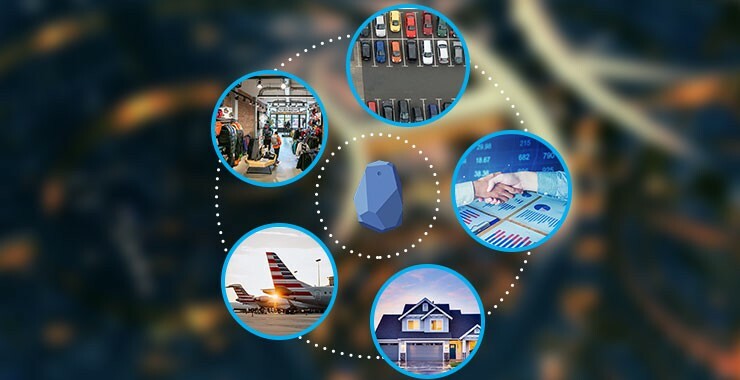 Here the Bluetooth low energy technology comes into the picture…Beacons powered by BLE has made micro-location management a reality; it attracts the right customer at the right time and does the relevant interaction based on the location of customers. To get the advantage of beacon technology, users just have to download the app and they will automatically receive the notification sent by the merchant when they are in proximity. BLE uses triangulation pattern to communicate with the Beacon and helps to provide accurate information about the object in the proximity. Beacon has a chipset which contains three things: beacon id, major and minor. Major: Identifies a group of beacons from a network of connected beacons. For instance, all beacons of NIKE are assigned a unique major value. Minor: Identifies beacon as an individual beacon from a group of beacons. The beacons deployed in the house allow the residents to create a ‘smart’ home by controlling their appliances, entertainment systems, security systems, doors, fixtures, etc through their smartphones. Beacons give you the convenience of setting your own conditions for the kind of notifications you want to receive bases on your micro location. For example, you can use beacons to send you a reminder of out of stock groceries the moment you enter your kitchen. Beacons help you save energy and reduce costs by setting the system to turn off the lights and AC as soon as you leave the room. Smart locks helps to receive alerts and tracks who’s entering or leaving the house, emails pass code to the visitors and remotely locks/unlocks when you are not at home. Beacons act as a security guard for your home; it monitors your home by controlling your door locks (locking/unlocking) when you are at the main entrance, gives alerts when there occurs any fire or smoke. In factories and warehouses, goods and equipments have to be moved from one place to another inside the premises. When Beacons are deployed, all assets within warehouse/factories can be tracked in real-time. With the help of an associated mobile app, beacons collect the data such as on which day it was used, where it was used, the time-taken to supply and much more. Warehouse professional can immediately know if pallets are missing at any location or handled by the wrong person. Due to the rising number of automobiles, finding a vacant parking space has become quite a challenging task, especially during the peak hours. Drivers have to go back and forth a number of times before they finally find the space and this consumes much of the time. But with the help of Beacon technology and associated parking app, it is possible to identify the available parking spaces in parking lots, navigate drivers to the nearest available space and can even pay the parking fee through the app. As soon as you park your car, location can be recorded automatically; so once you come back to the car park, an automatic message can pop-up on your phone asking if you wish to get directions to your car and the app will show you the way. The app will tell you the best exit to avoid the conjestion, saving your precious time. Usually passengers miss out some important notices and announcements at the airport which leads to the confusion and there are chances that they may miss their flight. With the help of beacons, guest can receive the push notification about the gate changes, seat upgrades, discounts etc. and can also provide access to the map, directing them to the right location of the gate. If the traveler arrives at a terminal much earlier, the beacon deployed over there can send them information on nearby restaurants and shopping options. Beacons bridges the customer-retailer gap through micro-location targeting and contextual content delivery. Deploying beacons strategically in-store helps retailers to send real-time push notifications about the product information, discount coupon and offers running at the store. The push notification can be customized as per the browsing patterns on the web or mobile app. Moreover, retailers can collect the heat-maps of the customer and can place the product strategically in the most popular areas. Beacons target the right customer at the right time with the right content and that helps the businesses to generate more revenue. Businesses that wish to provide rich customer experience can use beacon technology to scale their business to new heights. We at BLE Mobile Apps have years of experience in developing high-performance scalable, innovative and bespoke beacon based mobile apps as per your business needs. Our BLE developers are well-versed with the Beacon Technology and build user-friendly mobile apps that grab the attention of an audience and eventually results in more downloads. Looking for beacon app development? We’re just a call away. To know more about our work you can checkout our portfolio and get free quote from our expert team.